Why QA Training is so important? A career in QA Testing is both exciting and rewarding. If you are thinking about starting a career as a QA tester, then you should also plan to acquire a professional training. 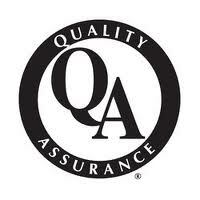 QA Training will definitely put you at an advantage and increase your job prospect. Not only that, but once you get into the job, you can be sure that you are equipped with the in-depth knowledge that you need to perform the job well. Anyone who are interested to join in QA testing course with IT and Non IT background are eligible to apply for this QA Testing Training course. Every topic is covered conceptually followed by proper example for explaining how that topic can be practically applied in real time software testingprojects. You can write email or call our instructors and he will very promptly provide answer to all your questions. We provide lifetime support not only while you are learning the course but also when you get into job and would need some inputs for resolving technical issues at work. One of the unique feature of our QA Testing Training is we provide to the participants with a Question Bank of interview questions and most importantly they are categorized topic-wise. As you finish the topic you can also walkthrough the complete list of possible interview questions and build your confidence to face the challenge.